There are many Eastbourne hotels to choose from, so why choose the Afton Hotel? Apart from offering you a warm welcome and an efficient service, they have a fabulous location! 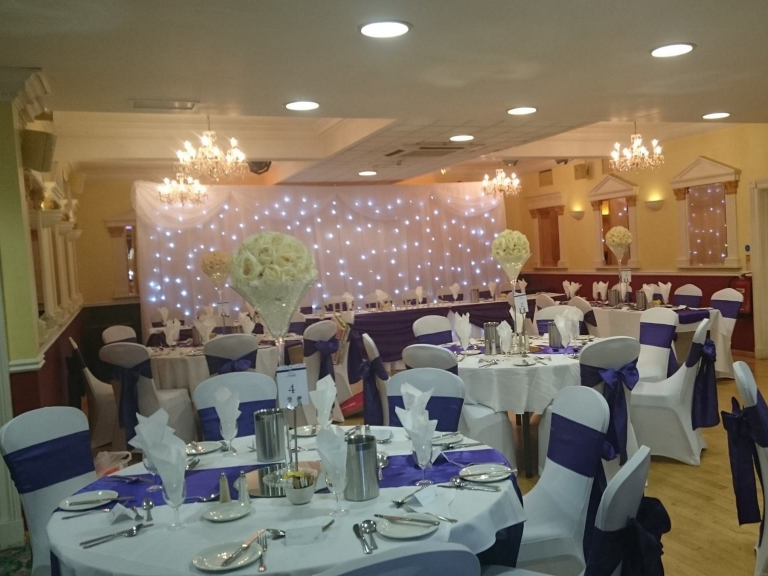 And if you're looking for function rooms in central Eastbourne then check out what the Afton Hotel can offer. The Afton Hotel are one of the party venues in Eastbourne that really takes fun seriously. The Afton Hotel prides itself on providing happy successful functions of any size and to suit any budget. There is a large restaurant area on the lower ground floor with its own bar, dance floor and stage which has up-to-date sound and lighting systems. Coloured lights that are synchronized to music, a low ceiling and sympathetic furnishings all contribute to a fantastic atmosphere which is perfect for a dinner & dance, party or wedding reception. On ground level, is a spacious and versatile lounge area which has its own large bar and sprung dance floor. Both the lower ground and ground floor areas can hold up to 150 guests. However, smaller, more intimate rooms can easily be created with the use of flexible and substantial sliding screens which blend in perfectly with the decor. The Summerhouse also offers flexible use. With its drop down screen and projector, it's the perfect venue for meetings or small conferences. It can also be adapted for social use and has attractive lighting, its own small bar area and facilities. All our public areas are air conditioned and have free WI-FI hotspots. We offer a range of sit down menus or buffets to suit most tastes and budgets. Examples of these can be seen on our website, although we are always happy to discuss individual requirements and we can easily create a tailor made package if preferred. We also offer a very cost effective all-in-one package created specifically for wedding receptions. If the hotel food or drink is used, there is no charge for room hire and we offer reasonable rates for corkage. Whether your function is modest and small, or lavish and large, we would always aim to exceed your expectations. We have the facilities as well as many years experience of making sure that any event goes smoothly and efficiently. The Afton Hotel takes fun seriously! Call the Afton Hotel on 01323 733162 to discuss your requirents further.